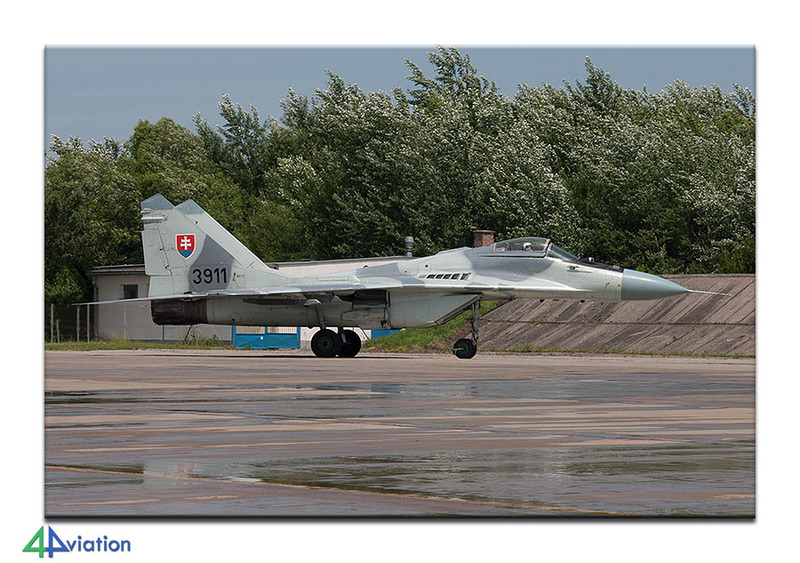 In 2010 we were welcome to visit the Slovak Air Force bases with a group. The visit took place in beautiful weather and great hospitality. 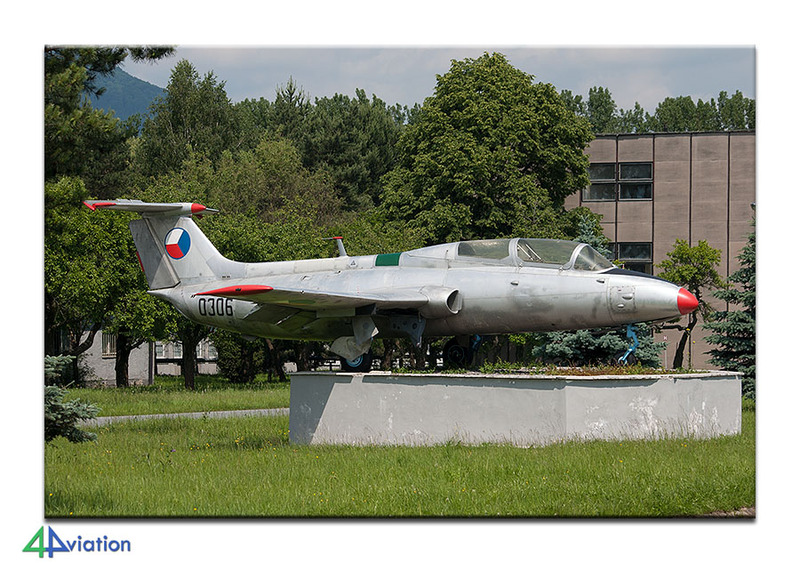 During our stay in Slovakia we also visited a couple of interesting museums. 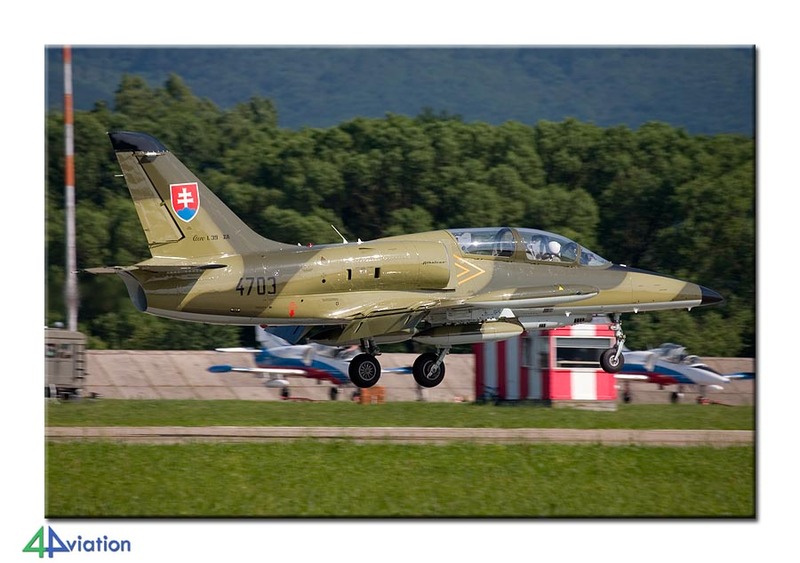 Between 7 and 12 June 2010, 4Aviation toured Slovakia with 10 people, for a visit to the Slovak Air Force. 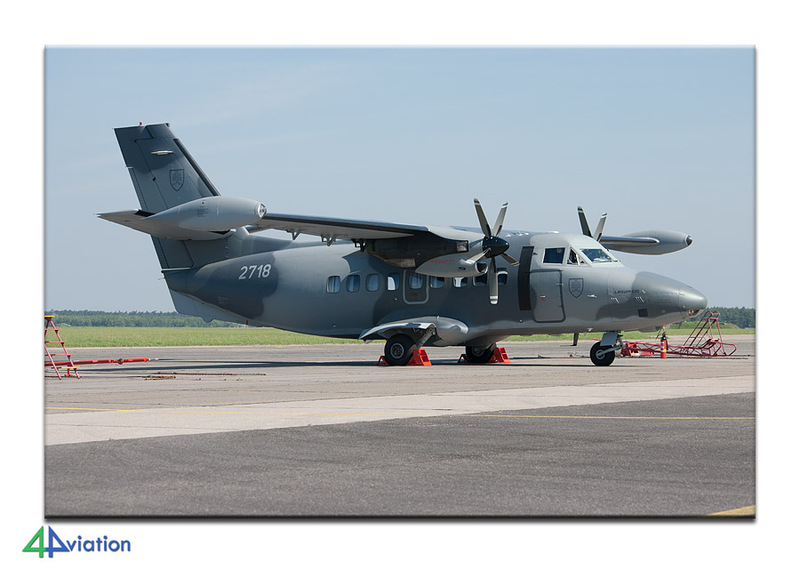 After an uneventful flight from Amsterdam to Budapest on Monday 7 June 2010, the 8 Dutch met the 2 British guys in Budapest. After a quick peek at what Budapest-Ferihegy had to offer we headed off towards Košice for the first night. The previous weeks the weather had been appalling and large areas in the eastern part of Hungary and Slovakia had been flooded. Although the weather was perfect when we arrived, we did witness the outcome of the huge amounts of rain the fell earlier. We were redirected from the main highway towards the town of Miskolc and via secondary roads. 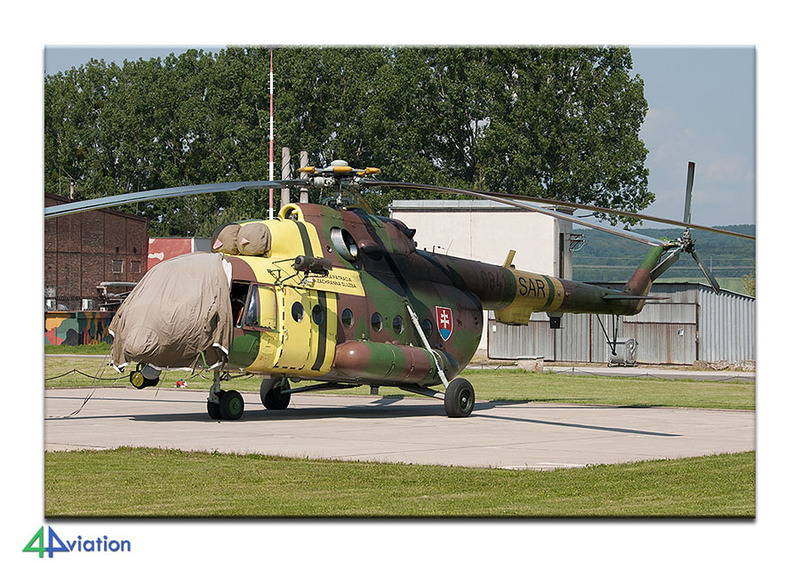 This did lead to the first aircraft of the tour though; a Hungarian Mi-17 was on temporary duty from the Miskolc airport. Despite the detour we managed to arrive at the hotel in Košice relatively early. 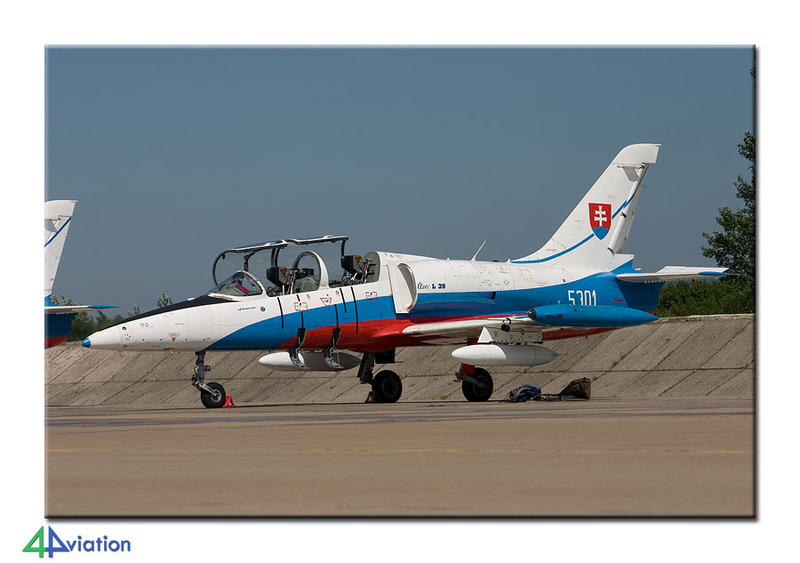 On Tuesday (8 June) the first visit to the Slovak Air Force was scheduled. We reported at the gate of Prešov early in the morning. 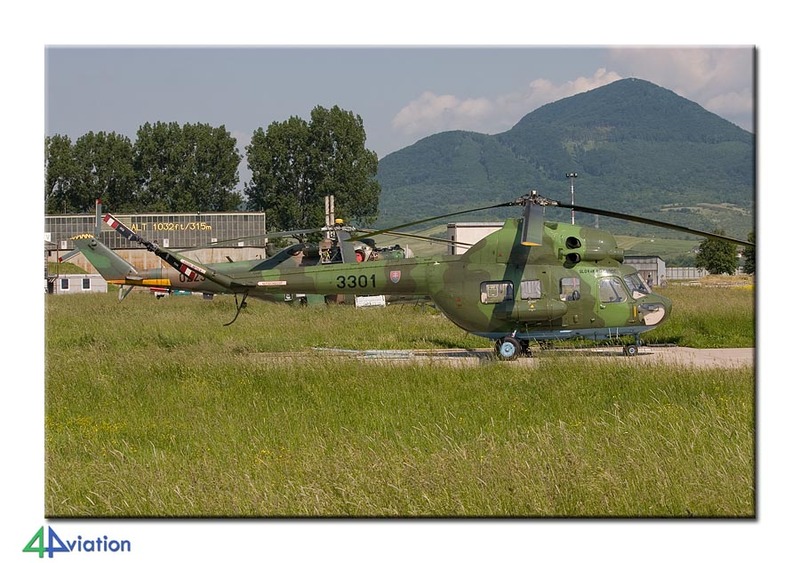 The sun was shining like it should and we were able to walk the whole base and find all helicopters that were present. Unfortunately the number of helicopters actually flying was limited during our stay, but nevertheless we managed to picture a number of them. After saying goodbye to our guides, and a quick stop at Podlipníky we drove to Košice during the afternoon. There we visited the fabulous Letectva museum. 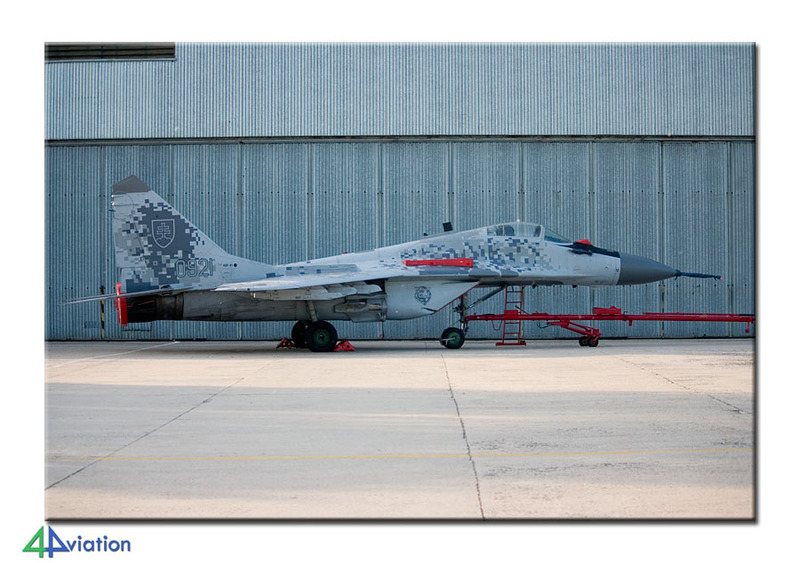 The collection of the museum is very interesting, combining a French Mirage 3 with a Chinese Q-5 and a Ukranian Su-15. 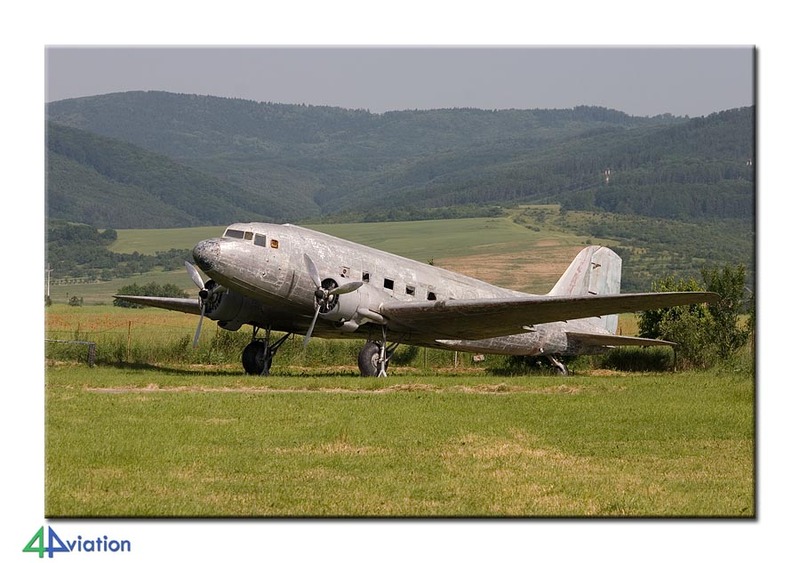 At the end of the day we checked in at our hotel in Zvolen, after visiting a number of places with preserved aircraft along the way. The first stop for Wednesday 9 June was a bit disappointing. We spent a very short time at the base of Sliač. We knew the base was still closed due to construction work, but went there anyway for the stored aircraft. 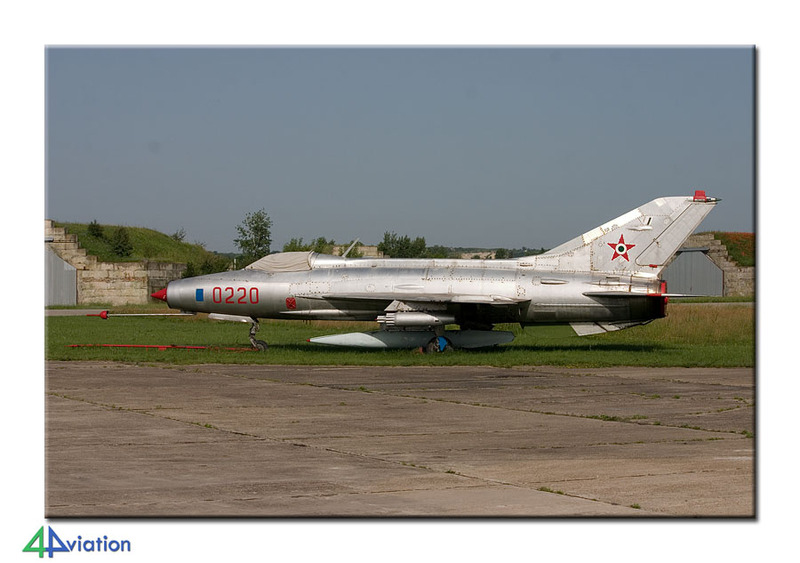 Unfortunately all stored MiG-21s had left for Prelouc recently. 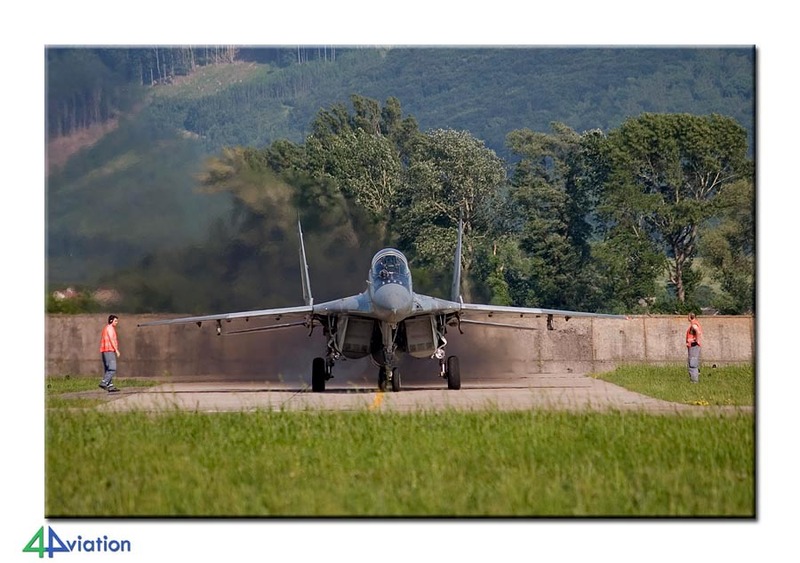 Also, we were not able to get to the stored MiG-29s, if they were still there (we did not see them outside), so ended up empty handed. 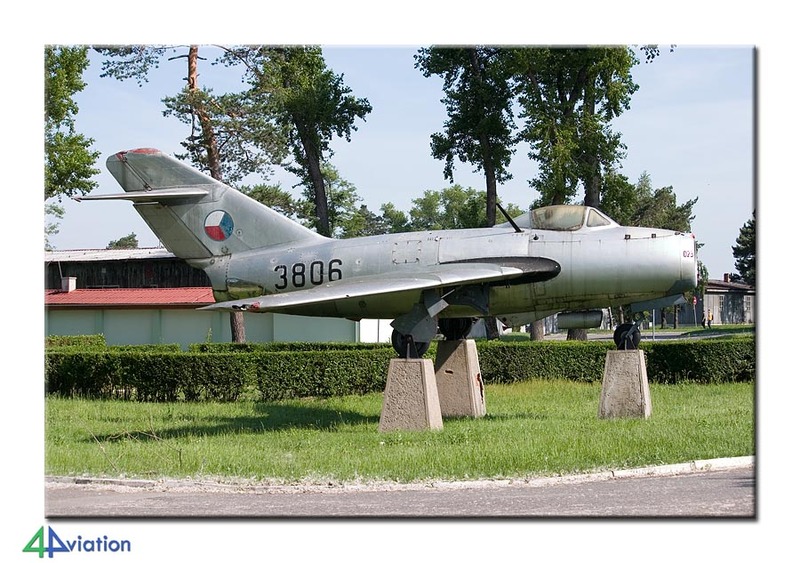 While heading for Malacky–Kuchyňa, visiting a number of wrecks and relics again, we negotiated an option to visit Malacky–Kuchyňa the same day over the phone. The visit was actually scheduled for Thursday, but the extra option on Wednesday would yield extra opportunities. We arrived at Malacky at around 15.00 and were met by our guide. 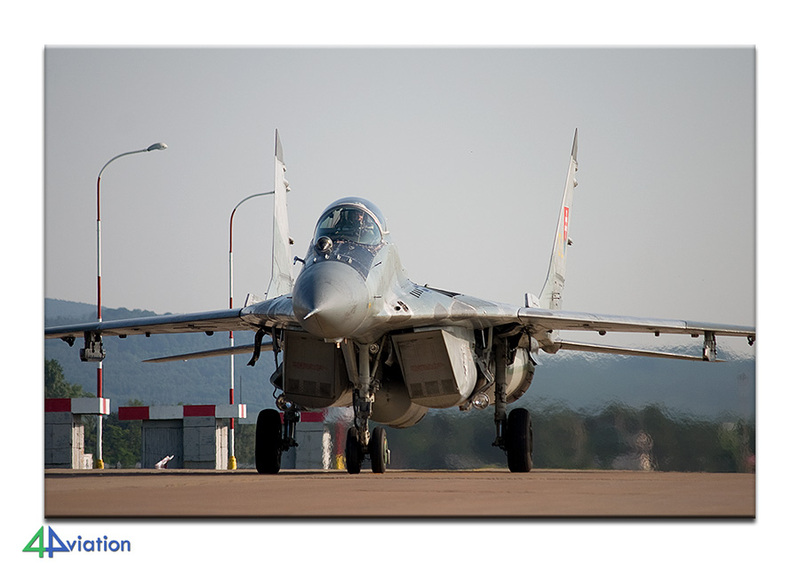 After heading to the flight line straight away, we were let loose here and our guide also took out his camera gear. 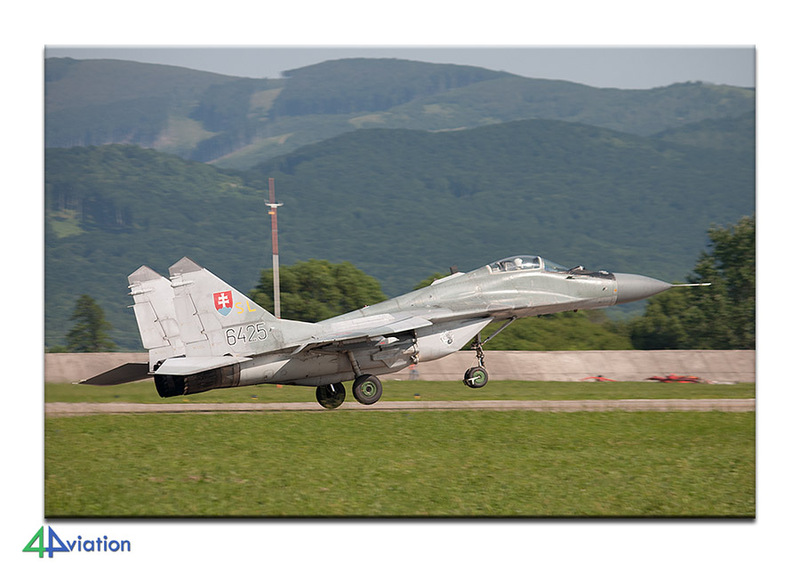 The Slovak Air Force had arranged a fellow aviation photographer to accompany us! That was a fantastic move. There were hardly any restrictions as to what we could do and when, resulting in almost perfect conditions. The sun was still shining when we left the base that evening at around 19.30. The next morning, 10 June, we headed for Malacky–Kuchyňa again and met our guide at the gate again. The weather was as perfect as the day before, and so was the cooperation again. We ended up shooting a large number of aircraft from various positions and thanked our guide during the afternoon for his time and patience. We wanted to get to Trenčín for the night, and chose the route via Bratislava-Ivanka. 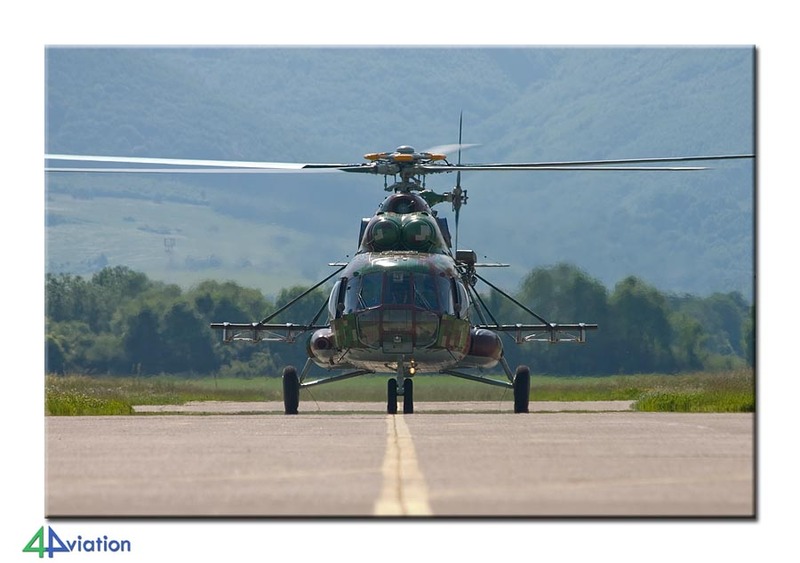 At Ivanka we made an appointment to visit the Slovak Government Flying Service on Friday. The dinner the evening in Trenčín was again enjoyed eating outside. 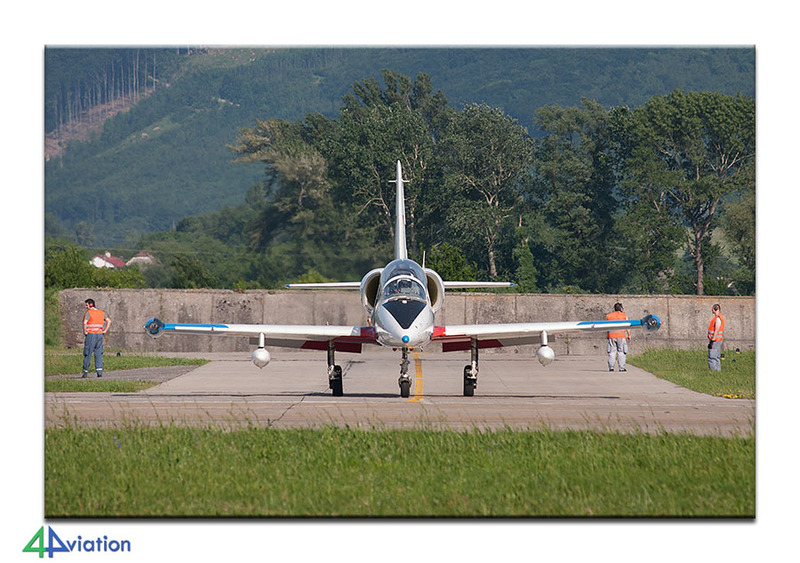 On Friday (11 June) we started with a quick peek at the LOT facilities at Trenčín. 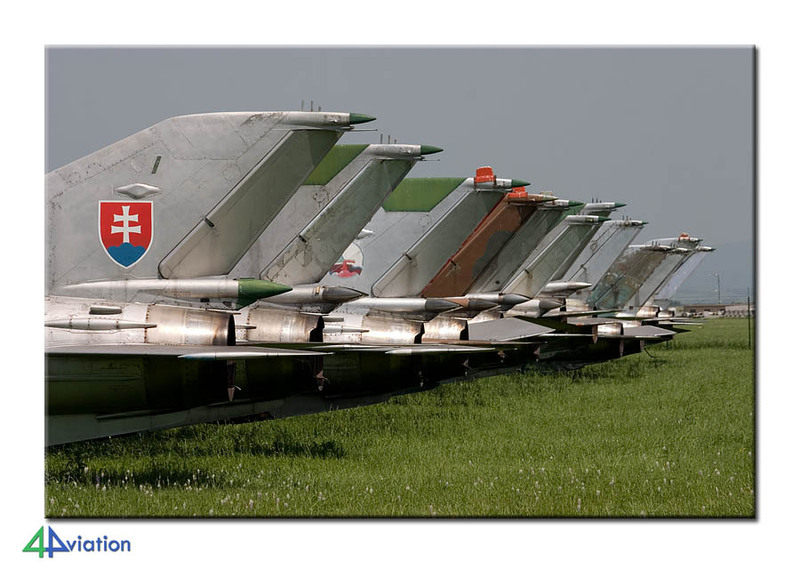 After that we drove to Slavnica for some preserved aircraft. 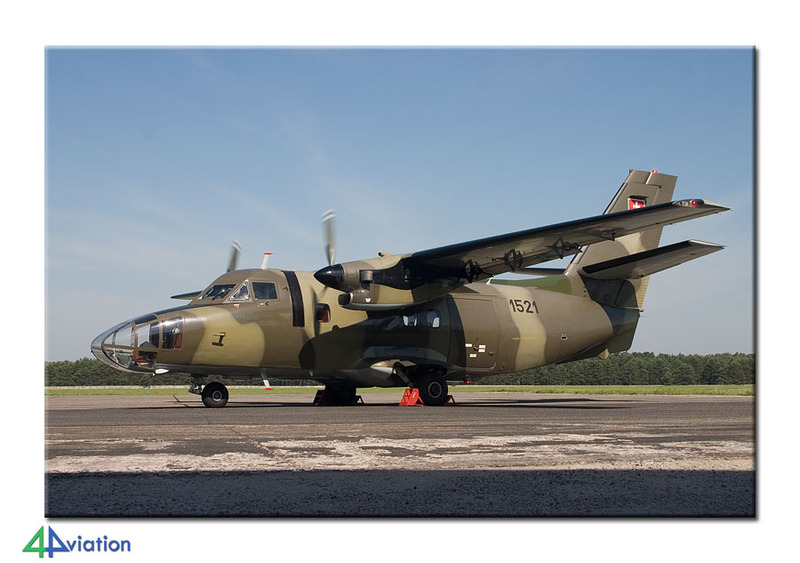 We were happy to find a Slovak Air Force L-410 landing on the grass strip there, just when we arrived. On our way to the museum at Piešťany, we stopped at Trenčín again for some additions. The guided visit to the museum in Piešťany was very productive and interesting. 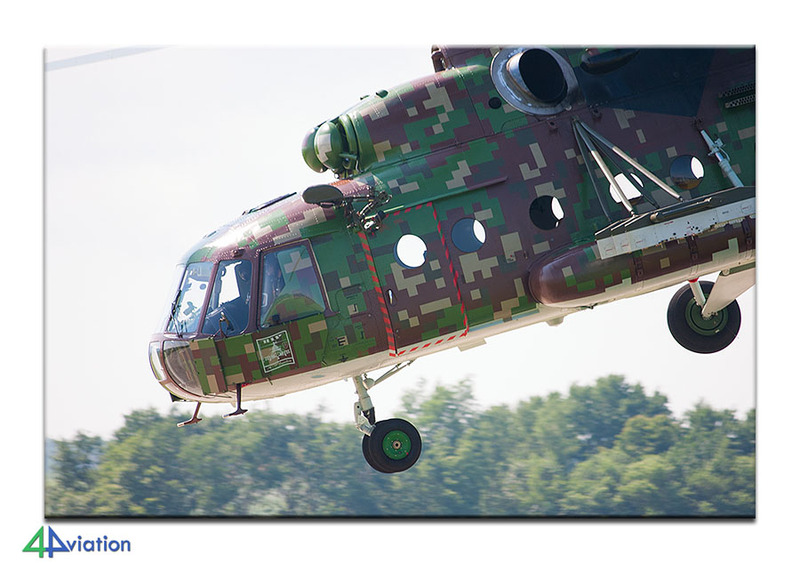 After Piešťany we drove to Bratislava-Ivanka for a visit to the Police helicopters and the Presidential fleet. 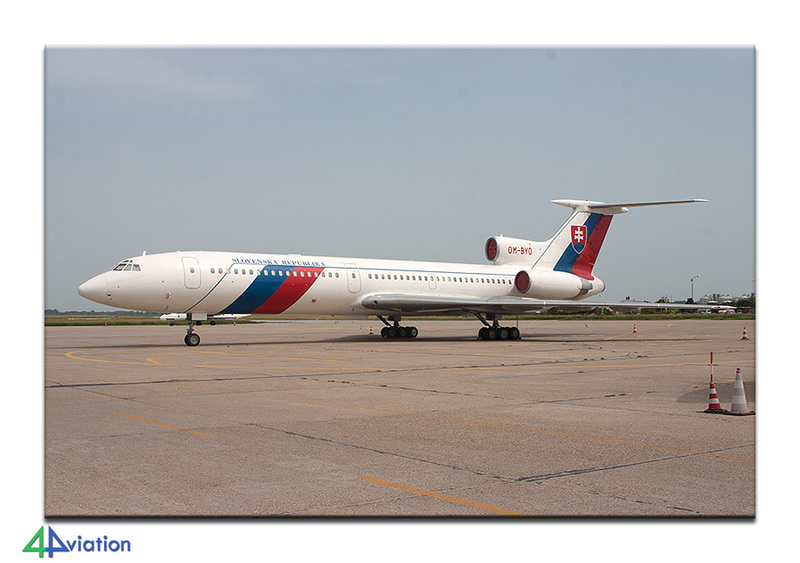 After a memorable security check we ended up admiring the presidential bathroom inside one of the Tu-154s some time later. Again, a very interesting and productive visit. After this we drove to Hungary again for the final night. The Saturday started with a visit to Tokol. Keith had arranged for a guy to show us around the MiG-15 they are working on here. The aircraft will hopefully make its first flight soon. After this visit, and a quick peek at Csepel, it was time to hand in the rental cars and check in for our flight home. 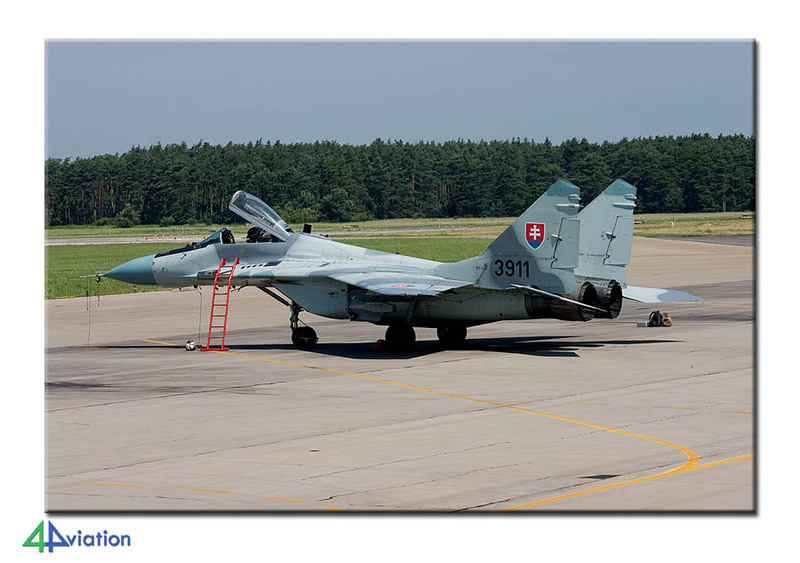 All in all, we managed to view the major part of the Slovak Air Force and their cooperation was appreciated very much!